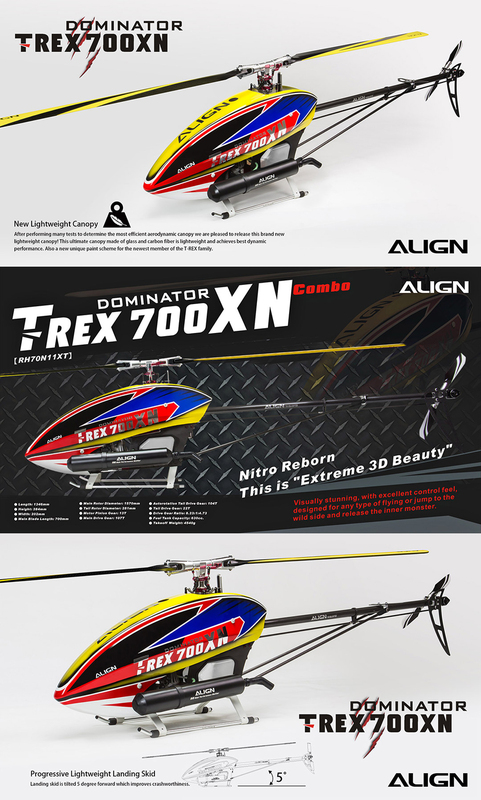 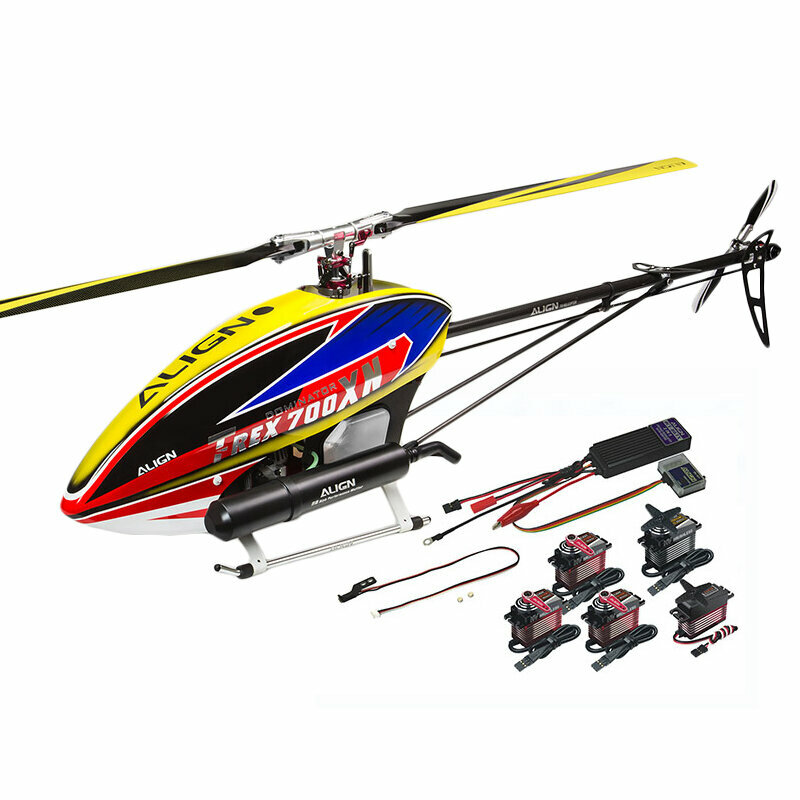 For just US$1,117.99 , buy ALIGN T-REX 700XN Helicopter Dominator Super Combo with high quality and fast shipping worldwide. 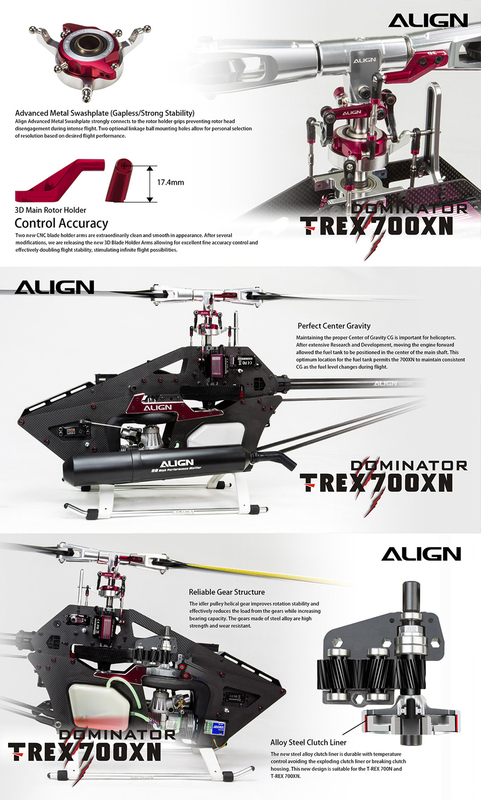 T-REX 700XN adopts the new direct to swashplate servo design, compared to the previous generation T-REX 700N’s push-pull mode control, provides precise and fast control! 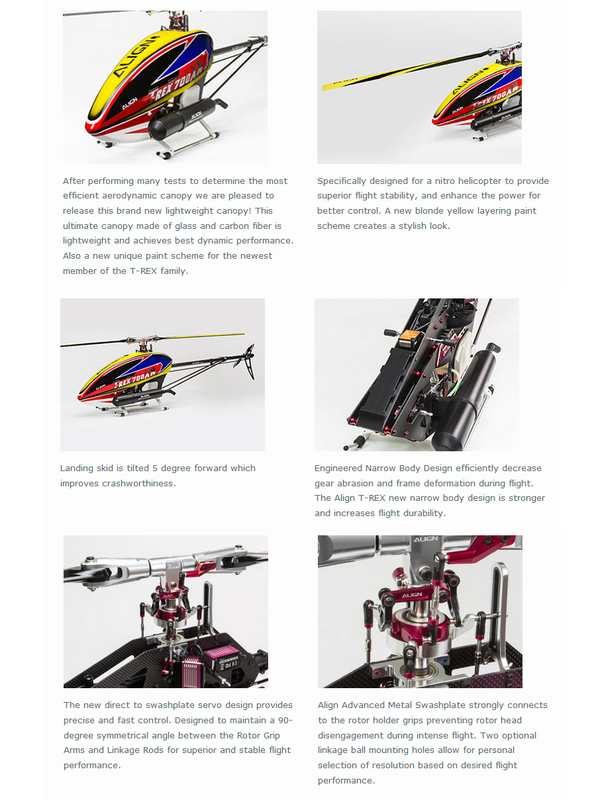 Utilizing the 700X Flybarless Rotor Head System features an extremely low Center of Gravity (CG) design, to effectively reduces resistance during 3D maneuvers, and increase flight responsiveness and precision. 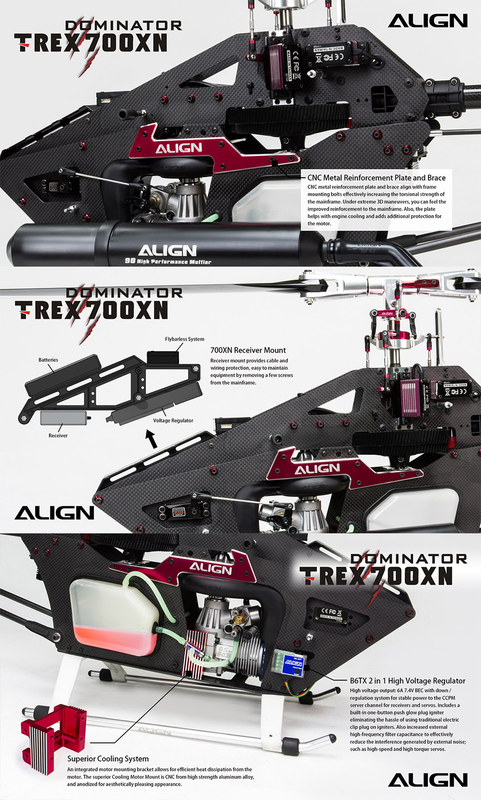 This designed maintains a 90-degree symmetrical angle between the Rotor Grip Arms and Linkage Rods for superior stable flight performance. 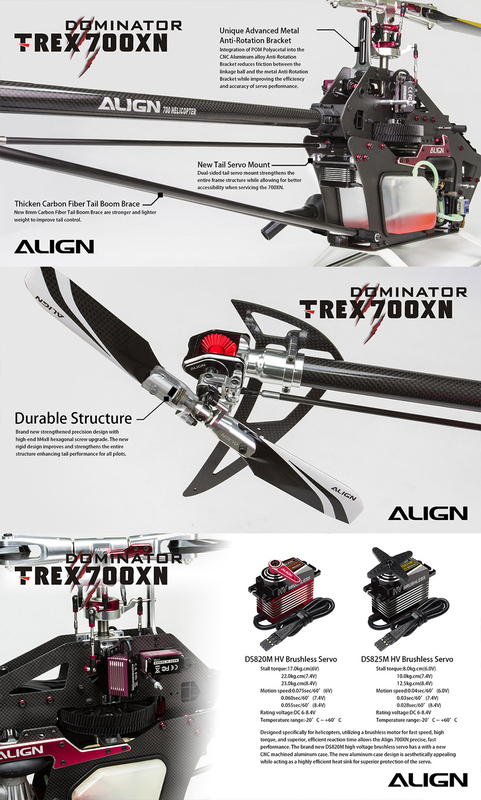 The Engineered Narrow Body Design efficiently decrease gear abrasion and frame deformation during flight. 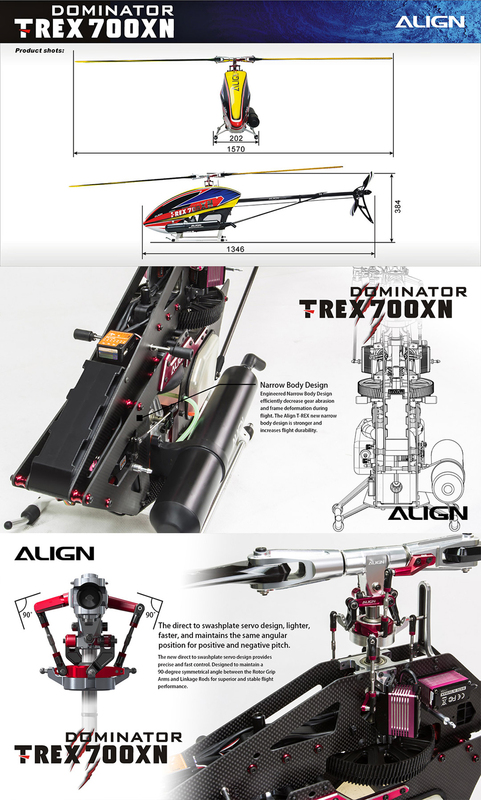 The T-REX 700XN maintains the proper CG, by moving the engine forward to allow the fuel tank to be positioned in the center of the main shaft. 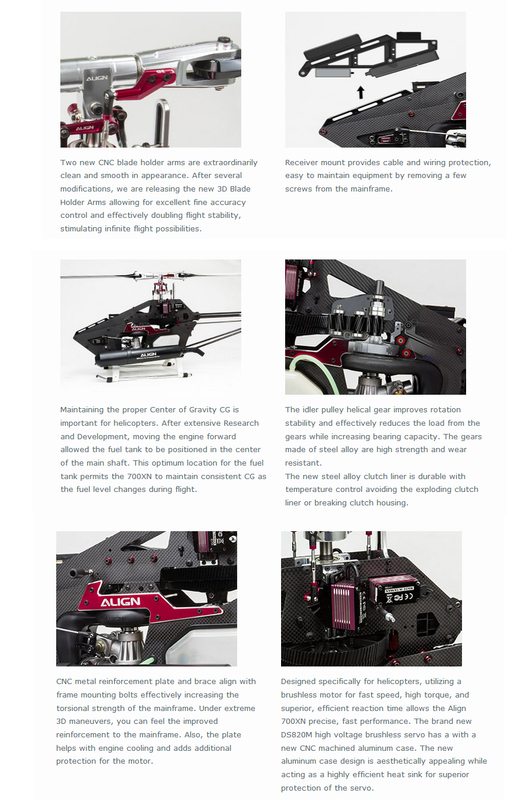 CG remains consistent as the fuel level changes during flight.